Fans of the Tomb Raider series were delighted when a teaser trailer was released for the upcoming Rise of the Tomb Raider video game. 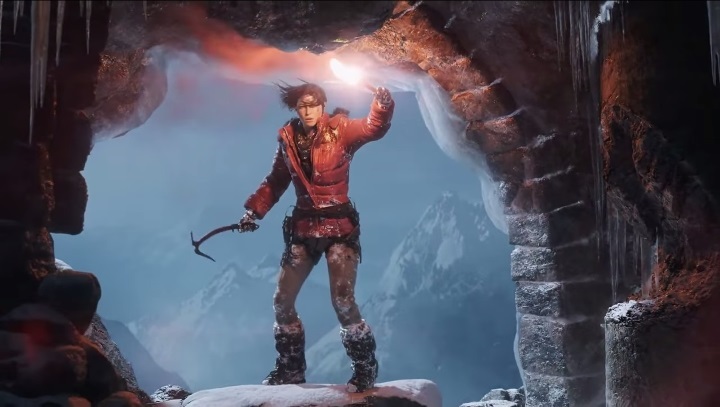 The trailer shows legendary heroine Lara Croft traversing the snowy landscapes of Siberia (which is rumoured to be the game’s main setting), and climbing an icy cliff wall before entering a mysterious cave at the top. Lara reveals her adventurous nature by stating at the end of the trailer that “discovering the secrets of the world is the only way to live”. And judging by previous games in the series, the only way to get in trouble… Because in the 2013 Tomb Raider reboot Lara Croft wasn’t portrayed as an invincible heroine, as a matter of fact she starts out as a member of an archaeological team that ends up stranded on a mysterious island crawling with pirates. And Lara goes through a lot of pain and suffering, overcoming many challenges on her way to escape the island (including squaring off against an ancient goddess known as Himiko), before becoming the tough as nails action heroine loved by gamers worldwide. And it is clear that one of the best things of developer Crystal Dynamic’s 2013 Tomb Raider game was how it presented Lara Croft like a real human being, and seeing her transformation from scared teenager to acrobatic action woman sure was a treat. And since this new Tomb Raider game will also be developed by Crystal Dynamics, I hope they can deliver a game of the same quality. Although the Tomb Raider reboot was criticized for being too similar to the Uncharted games, with too little “tomb raiding” and too many shootouts in wide open spaces… So let’s hope that this game includes more sequences in which players have to explore and loot tombs like in the earlier games in the series. But if one thing is clear, is that although Rise of the Tomb Raider is one of the most eagerly anticipated games of the year, it has been a controversial game due to the fact that it will be a “timed exclusive”. The game will initially only be available for the Xbox One and Xbox 360, and will be published by Microsoft. At least there is a possibility that PS4 or PC users will eventually get to play this game, but for the time being it seems only owners of Microsoft’s consoles will get to enjoy Lara’s latest adventure. And while it makes sense for Microsoft to try and secure big name exclusives in an effort to close the sales gap between the Xbox One and PS4, it is still disappointing that this won’t be a multiplatform game at release like the 2013 Tomb Raider reboot. But at least the head of Microsoft Studios Phil Spencer has dismissed recent rumours that the game will be an exclusive like the Halo series instead of a “timed exclusive”. In the end though, Rise of the Tomb Raider certainly looks like a promising video game, and although the trailer shows no actual gameplay footage (we’ll have to way until the E3 show in the middle of June for that), it is great that gamers will soon be able to enjoy another of Lara Croft’s adventures.